UNIDOS exists to empower the community to break the cycle of domestic violence, end sexual assault and promote healthy family systems. 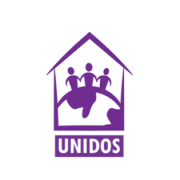 UNIDOS was started in 1996 as a group of volunteers committed to helping Latinx survivors of domestic violence access local services. The organization started as a result of social action research conducted with migrant farm worker communities in central WI between 1994 and 1996. This early research indicated that, although domestic violence (DV) was a serious problem within the Latino migrant and immigrant community, local DV services did not have the resources to work with this group of abused women. Staff from local agencies needed assistance to learn about Latino culture and how the problem of domestic violence was uniquely experience by our community. To that end, UNIDOS has become a leader around the states as a resource for training and technical assistance to a variety of agencies around the state working with abused Latinas. In 2001, UNIDOS Against Domestic Violence become a 501c3, not-for-profit agency. Today, UNIDOS works providing direct service in Dane, and surrounding Counties. However, we also provide statewide education and technical assistance to colleagues and professionals who wish to improve their services to Latinos in Wisconsin. We receive funding from the Department of Children and Families (DCF), the Department of Justice (DOJ), Dane County and the City of Madison, in addition to private donations. We are a proud member of Community Shares Wisconsin. Would you recommend UNIDOS AGAINST DOMESTIC VIOLENCE INC?